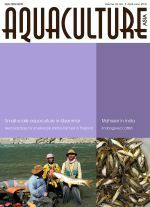 Myanmar aquaculture has previously been considered to be medium to large scale with little to no small-scale aquaculture. 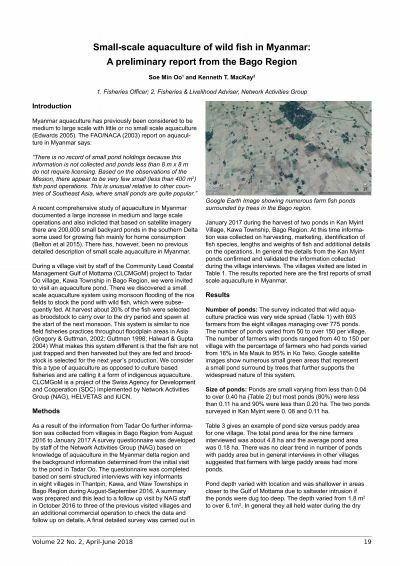 Here we report on an indigenous small-scale aquaculture system in Myanmar based on natural monsoon stocking of rice fields with wild fish, which are subsequently trapped, fed and grown out, with a portion used as broodstock to supplement the next years production. The practice is widespread and interviews suggest that it has been in place for at least 40 years.